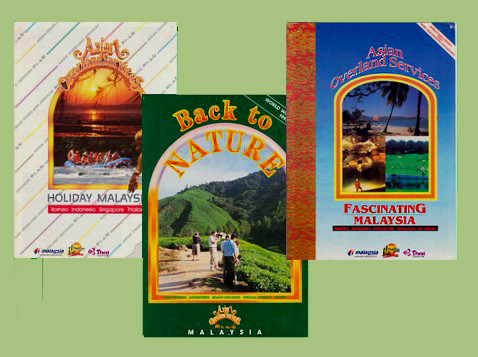 Adventure travel was booming because of the European inbound tourists who wanted to enjoy the rainforest of Peninsular Malaysia and Borneo. 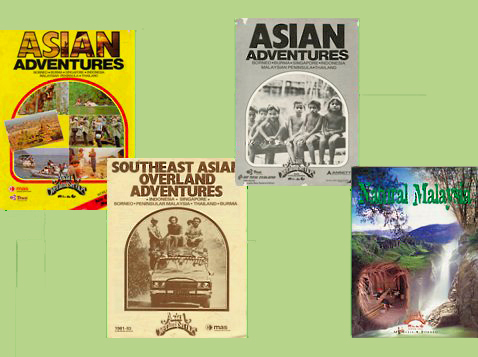 I started the first 4X4 Camel trophy, white water rafting, mountain biking and outdoor camping expeditions to Taman Negara Pahang. 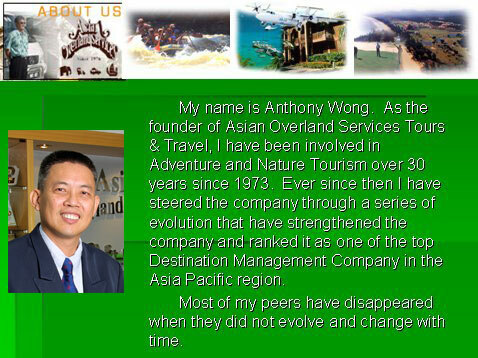 Nature and adventure tours helped developed the society in appreciating Nature and Heritage. Responsible Tourism What is it? There are many definitions, but in a nutshell, it means making sure that tourism organizations look after destinations, so that their attractions & resources - whether natural or cultural – are not spoiled either for local people or for future visitors. No comprehension in Asia Pacific in the 70s until early 80s. The tourism industry is unusual in that the consumers travel to the point of production to consume the product. Any form of tourism can be provided and consumed in a more responsible way. We can all contribute to achieving sustainable tourism and have a real holiday at the same time. Responsible tourism is not another niche market - all forms of tourism can be more responsible, it is about tourists and tourism companies taking responsibility for maximizing the positive impacts and minimizing the negative ones. The term was coined in the mid 80s. This gave it a new momentum. Ecotourism is "Responsible travel to natural areas that conserves the environment and improves the well-being of local people." Ecotourism is about connecting conservation, communities, and sustainable travel. Ecotourism is considered the fastest growing market in the tourism industry, according to the World Tourism Organization with an annual growth rate of 5% worldwide and representing 6% of the world gross domestic product, 11.4% of all consumer spending. However, there are many factors that have misconstrued the word “Ecotourism”.